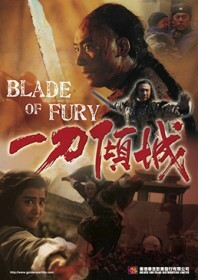 Blistering historical action from Sammo Hung who also cameos as a burly bodyguard. There’s a great tournament sequence, plenty of theatrics, political corruption and rapid-fire sword fights as Ti Lung plays a Chinese nationalist fighting to overthrow a corrupt government. Besides decapitating a whole line of adversaries in a single stroke (which is quite something), our hero also contends with a crafty nobleman with deadly drunken spear skills, and teaches a room of young hopefuls the correct path to enlightenment. Slightly confused and silly in places, the film’s exuberance is nevertheless astonishing.